Don't Cry Wolf picks up Quorso, cyber security win for Diffusion, large wine contract for Clementine, Taylor Herring to lead search for new cat, and more from PRWeek UK. Don't Cry Wolf has been appointed by fast-growing tech firm Quorso as it looks to take its technology to organisations across the retail, restaurant, hotel, transport and logistics space. The company takes big data and makes it meaningful, actionable and measurable, placing the power to make a difference in the hands of frontline managers at shops, restaurants, hotels and other businesses. Don't Cry Wolf won the brief after a competitive pitch process and will be working alongside Quorso’s talented senior marketing team and founders. 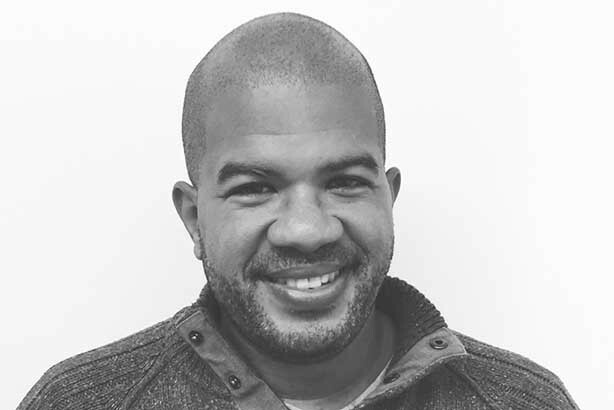 Brandon James (main image), head of marketing at Quorso, said: "We have an incredible road ahead of us. Quorso is at that perfect moment where our product is like no other out there, our customers are delighted with us and the market is urgently looking for a solution like ours." DynaRisk has brought in Diffusion to handle its B2B, corporate and consumer PR, following a competitive pitch process. With the growing threat of data breaches and attacks, the company uses intelligence-led data to calculate a personalised Cyber Security Score for its customers, so that they know how safe they are online, whether they are at risk or have been exposed to any data breaches. Once alerted to the threats, people are then encouraged to take action to protect themselves. With so many consumers and businesses not fully understanding the risk they are at when it comes to cybersecurity, DynaRisk has tasked Diffusion with growing brand awareness and activating an intensive education programme. Jamie Obertelli joins Infinite Global from global real estate firm Knight Frank, where he served as head of content. At Knight Frank, Jamie was responsible for taking The Wealth Report digital, the firm’s signature publication, and maximising its online footprint on key web and social media channels. His wider client experience includes proactive campaigns for global organisations across the legal, real estate, extractive industry, overseas development, tech and aviation sectors. With a background in both journalism and public relations, Jamie now advises businesses on digital content and online engagement, including working with clients to shift from a ‘print first’ to a ‘digital first’ strategy. Jamie will be based primarily in Infinite Global’s London office, as part of the firm’s international PR, brand and content offering. Current account provider, ANNA (Absolutely No-Nonsense Admin), a mobile business account and digital admin assistant launched its miaowing debit card in September 2018. Taylor Herring will lead the search for a new cat to be the sound of their contactless card transactions. Members of the public are asked to submit a video of their cat miaowing via Facebook or Instagram with the hashtag #ANNAmiaow to be considered for the unique role. The winning cat will be recorded and given the honour of becoming the new miaow that plays when the debit cards are used for contactless payments. The Decanter World Wine Awards (DWWA) is the 'world’s largest and most influential wine competition'. Judged by top wine experts from around the globe, the DWWA is trusted internationally for its rigorous judging process. Clementine will execute a multi-platform campaign that will focus on gaining global exposure for the DWWA. Head of marketing at DWWA Alex Layton said: "Clemence and team clearly know the Decanter brand inside out and we have no doubt that their campaign will strengthen brand awareness and engage consumers across the globe." The managed services provider has over 30 years’ experience delivering customised, full-service, managed print and IT programmes across a variety of sectors including education, legal and the public sector. Context will be responsible for delivering a comprehensive media relations campaign, promoting new and existing partnerships, product enhancements and building ITEC’s profile across sector verticals. This new agreement marks the fourth account win for the agency in 2019. Jenni Livesley, senior account manager at Context, said: "Their decision to diversify shows a real dedication to delivering tailor-made services to new and existing customers. We look forward to working with them as they explore new opportunities."